Welcome to my legislative website! I am proud to serve as the State Senator from Illinois' 29th District, representing portions of the North Suburbs of Chicago in Lake and Cook Counties. It is truly my honor to represent you in Springfield. Please do not hesitate to contact my office with questions or ways I can better serve you. SPRINGFIELD – For children under the care of the Department of Children and Family Services (DCFS), finding an environment where minors are safe and protected is of the upmost importance. Several reports have highlighted shortcomings at the state agency, however, in ensuring abused or neglected children are placed in appropriate living situations in a timely fashion. State Senator Julie Morrison (D – Deerfield) is working with child care advocates on two proposals that would increase the court system’s role in preventing children from languishing in temporary or inadequate settings. SPRINGFIELD – It is not uncommon for local governmental officials to have access to taxpayer-purchased vehicles or receive vehicle allowances for use in conducting city business. But several suburban officials have the ability of using their vehicle allowance perk to boost their pension payments when they retire – a practice State Senator Julie Morrison (D – Deerfield) thinks should be ended. 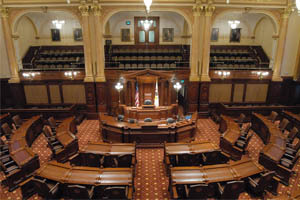 Current Illinois law allows certain allowances received by public officials to be counted as pensionable earnings. Morrison passed Senate Bill 701 out of the Senate this week, which would exclude vehicle allowances from the definition of earnings, prohibiting the perk from increasing a future pension. 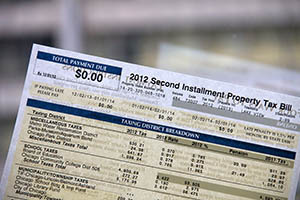 SPRINGFIELD – For many homeowners or commercial property owners who appeal their property tax assessments, the complexity of the overall process can be daunting. 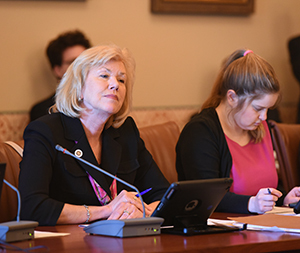 State Senator Julie Morrison (D – Deerfield) passed a plan out of the Senate today that would streamline the appeals process and lower the often excessive wait times faced by many who file appeals. 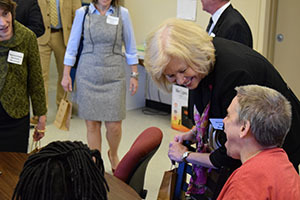 SPRINGFIELD – State Senator Julie Morrison (D – Deerfield) joined other members of the Special Needs Caucus from both the Senate and House yesterday in touring the Sparc Work Center in Springfield. The non-profit facility operates as a day program for individuals with intellectual and developmental disabilities. Morrison was recently named Chairwoman of the Senate Human Services Committee and used the experience to see firsthand the importance of day programs in Illinois. Sparc is a non-profit organization committed to enriching the lives of individuals with intellectual and developmental disabilities. The organization operates 14 group homes and a work center and provides job placement services, family respite care and a host of other programs and services tailored to individuals with disabilities.